This monumental twenty-volume series presents the writings of James M. Buchanan, one of the great twentieth-century scholars of liberty. Buchanan, the Nobel laureate in Economics in 1986, has much wisdom to offer—not just to academics and economists—but to all who seek to understand the challenges and opportunities of governance in our age. The Collected Works of James M. Buchanan includes ten monographs and all of the important journal articles, papers, and essays that Buchanan produced in a distinguished career spanning more than half a century. Among the monographs are such famous works as The Calculus of Consent (coauthored by Gordon Tullock) and The Limits of Liberty, as well as Cost and Choice: An Inquiry in Economic Theory. 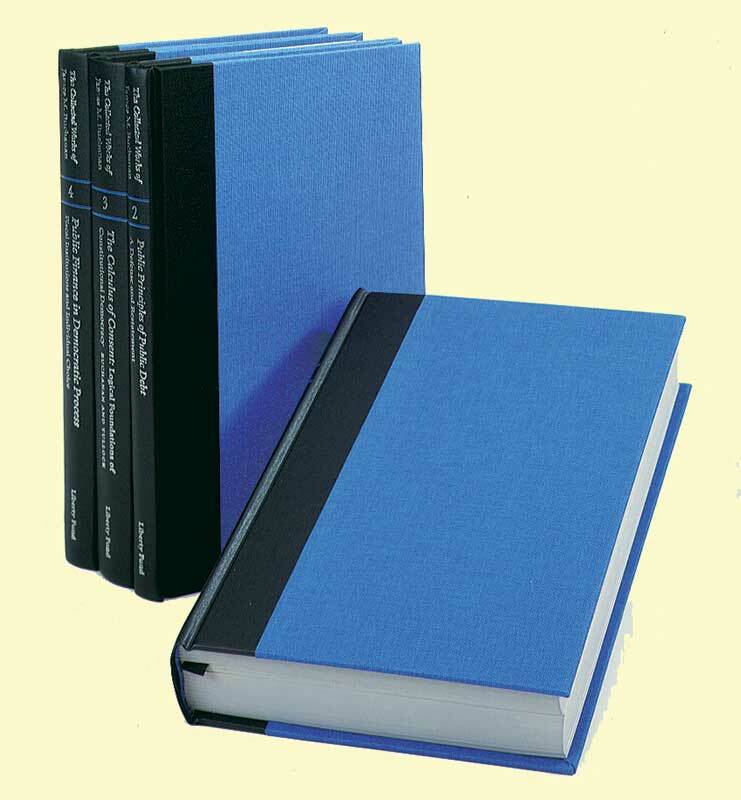 The monographs have been cast into a new format, and new indexes have been created. In addition, each volume includes a foreword by one of the three editors of the series, each of whom is a distinguished economist in his own right. James M. Buchanan (1919–2013) was an eminent economist who won the Nobel Memorial Prize in Economic Sciences in 1986. He founded the Center for Study of Public Choice at George Mason University, where he was a professor of economics, and is considered one of the greatest scholars of liberty of the twentieth century.